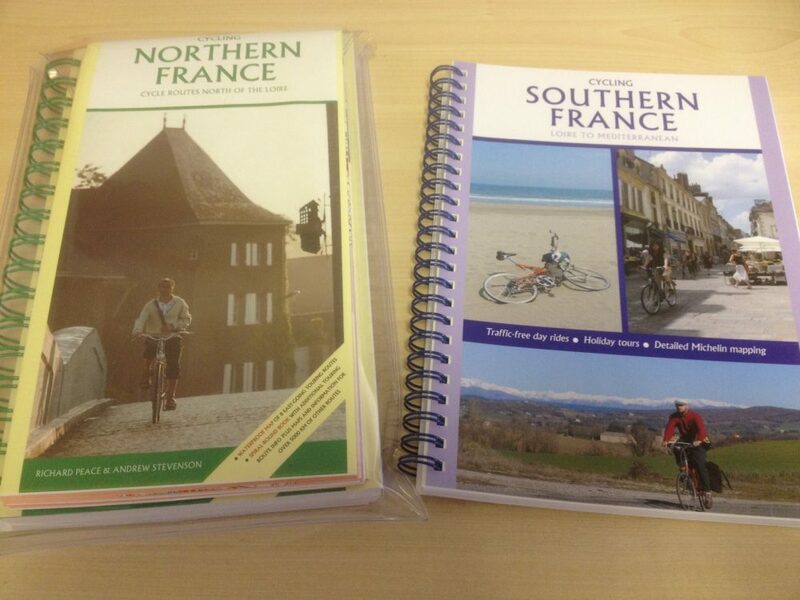 The Cycling Northern France guide book, from Excellent Books, is a 270 page spiral bound guidebook. 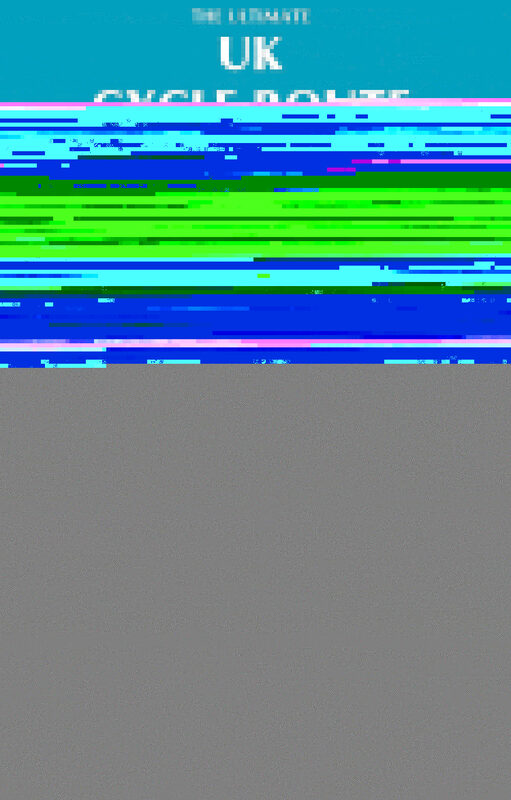 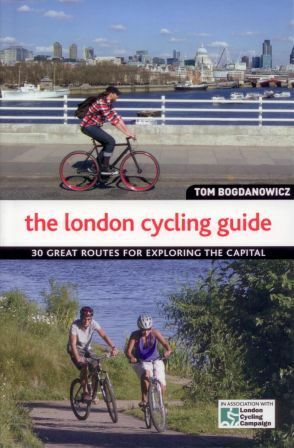 It also has a waterproof, folded map bundled together in a plastic folder. 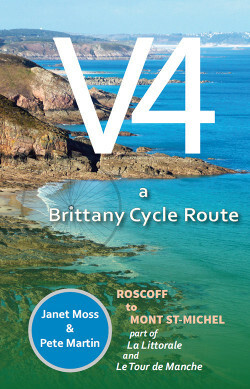 Book and map describe 8 touring routes as follows with 1:200,000 Michelin mapping plus detailed area and town maps. 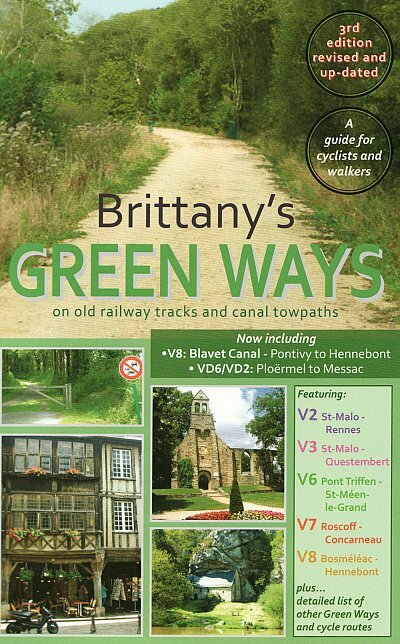 Brittany Coast to Coast; Around the Cotentin; St. Malo – Mont St. Michel Circular; Avenue Verte & Seine Valley (Dieppe-Paris-Le Havre); Boulogne to Lille; Paris & the Marne Valley; River Rhine via the Vosges; and, North Burgundy (Burgundy & Nivernais Canals). 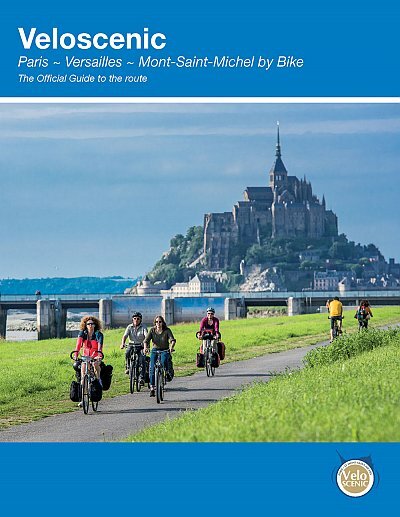 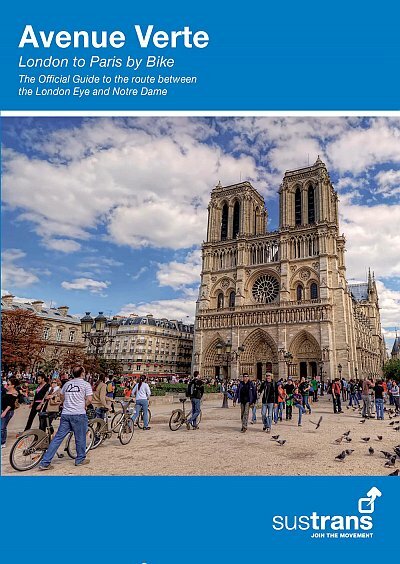 Book also includes touring route directions in northern France, cycle-friendly accommodation listings and places of interest. 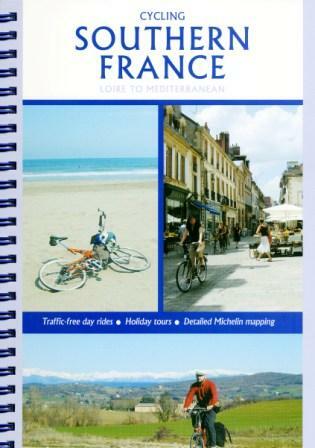 Book and map describe 8 touring routes as follows with 1:200,000 French Michelin mapping plus detailed area and town maps. 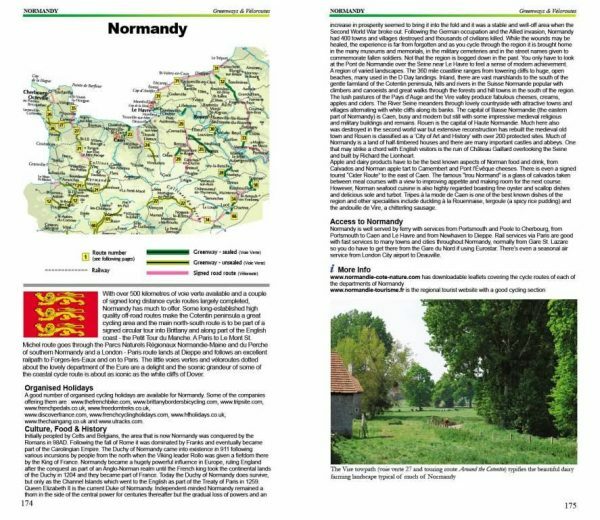 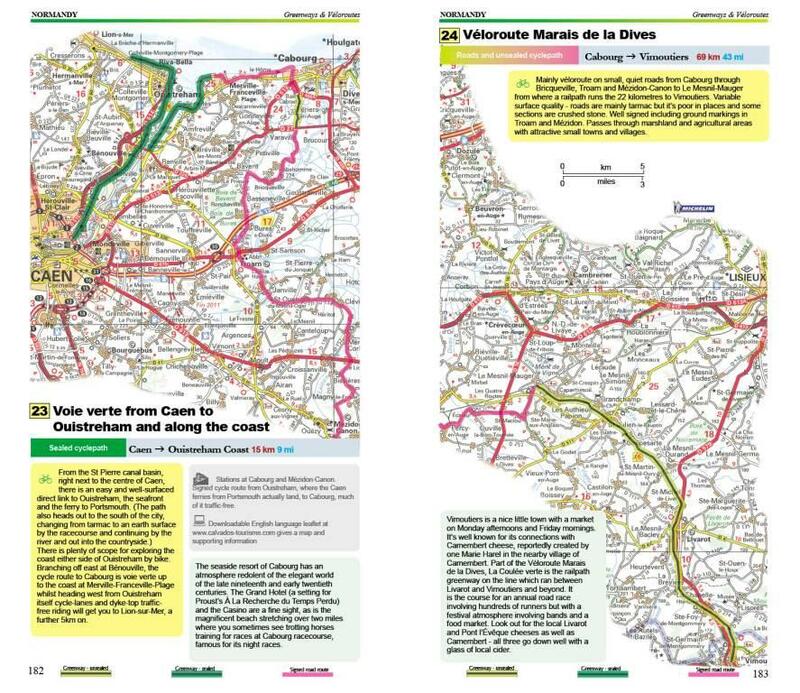 Also detailed are an additional 100-plus greenways, covering all the major off-road traffic-free trails in Northern France, region by region, the majority being detailed on 1:200,000 Michelin maps. 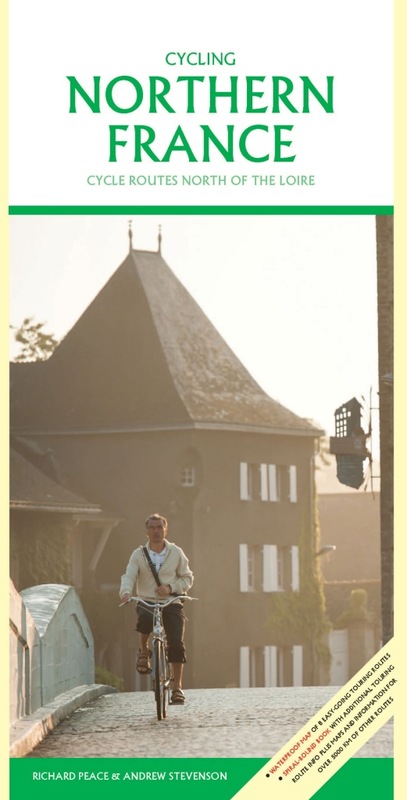 Ideal for easygoing day rides. 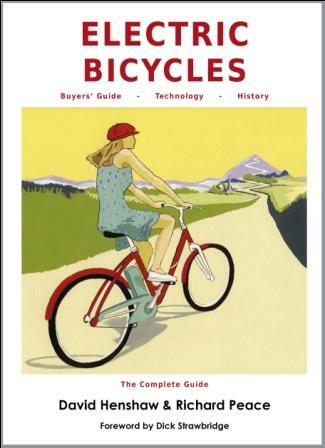 Excellent Books is an imprint of cycling journalist Richard Peace, with writing credits including magazines ‘Bike Europe’ and ‘In Britain’, the official publication of Visit Britain. 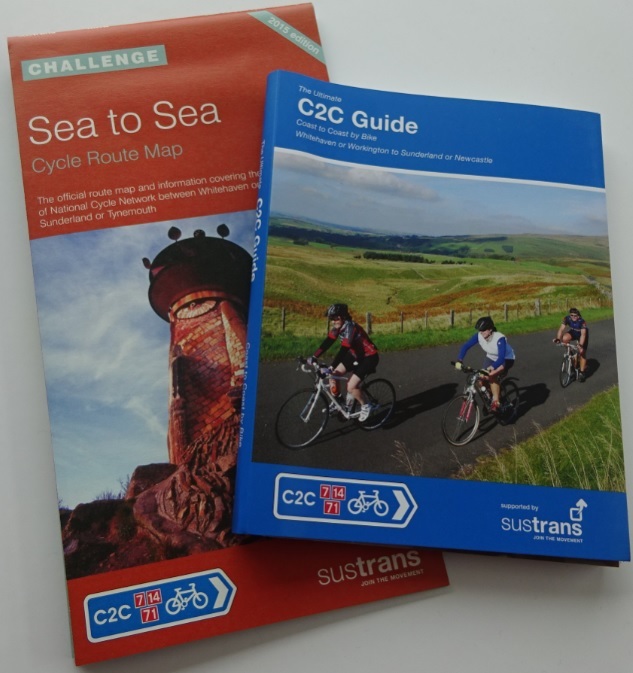 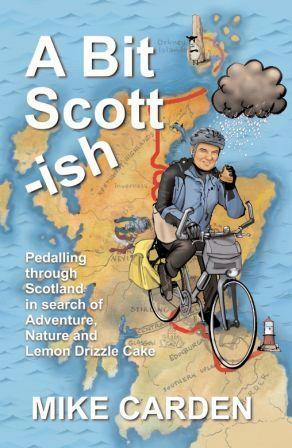 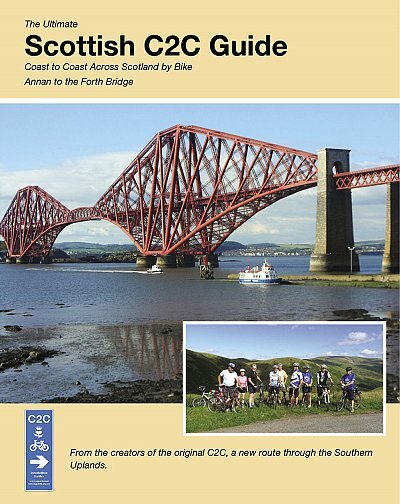 Check out all of Richard Peace’s books and maps, including British and French cycle guides, and the new coast to coast route for Scotland. 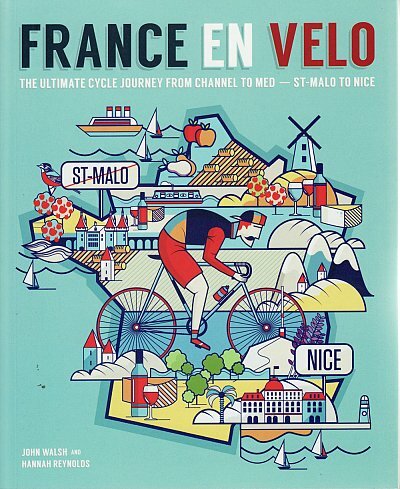 He also writes for the excellent Freewheeling France website, eg the Bike Show review. 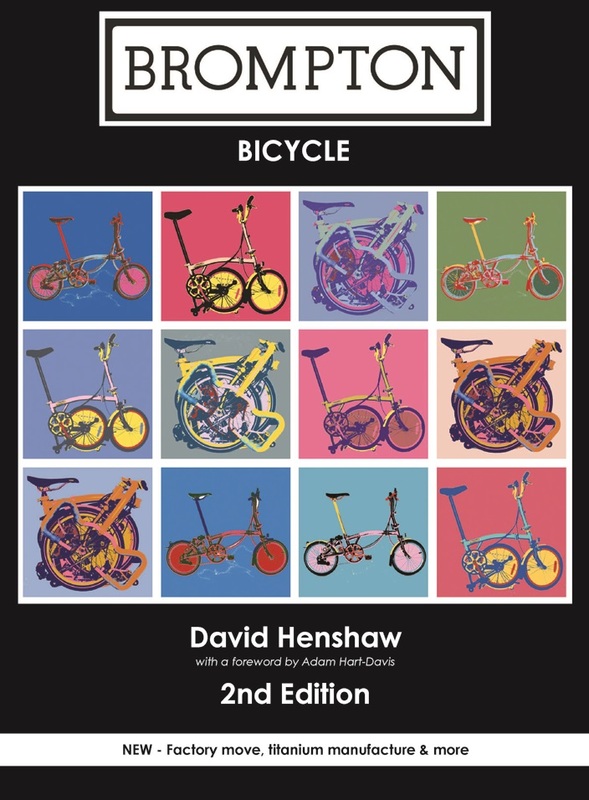 He also writes technical books, and you can find his Brompton Bicycle and Electric Bikes books on this site, plus a blog on electric bikes.